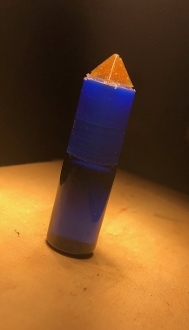 Blue lotus essential oil magnetized with heightened pyramid energy. 24k gold/amber pyramid, combined with rare earth magnet on bottom of 10ml bottle creates an beneficial energy field within the lotus oil. Excellent to use before meditation, business meetings, social events, evening activities, whenever you desire to exude natural magnetism with a calm allure.